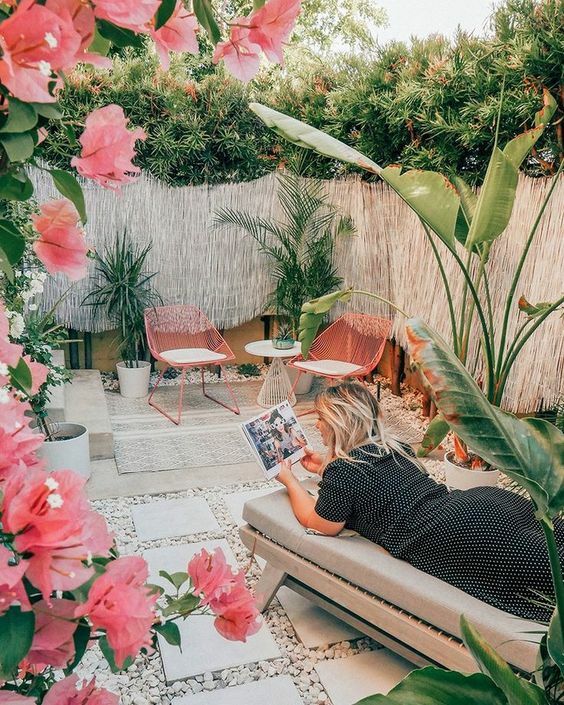 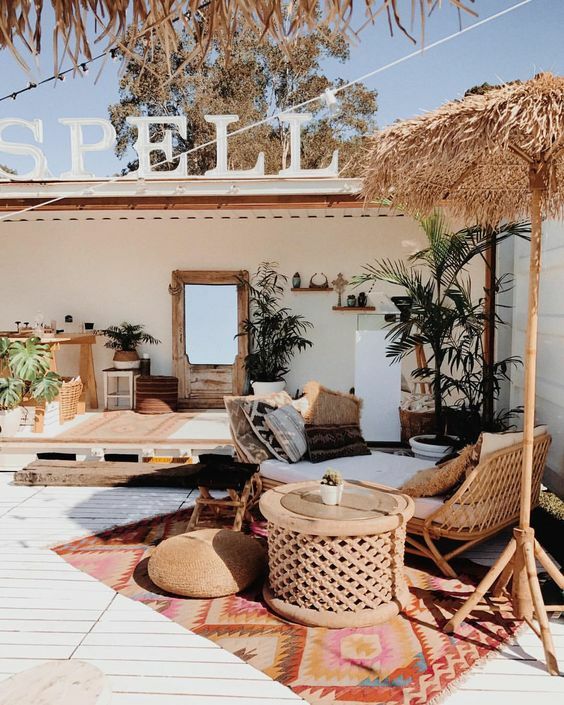 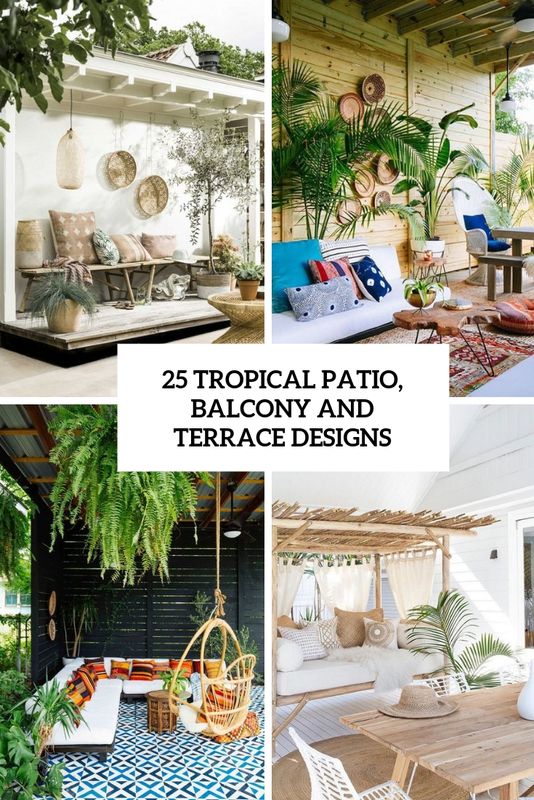 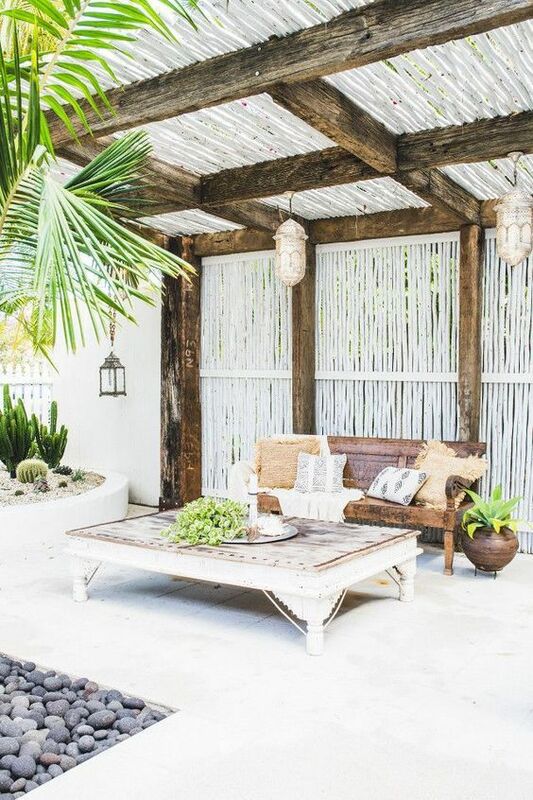 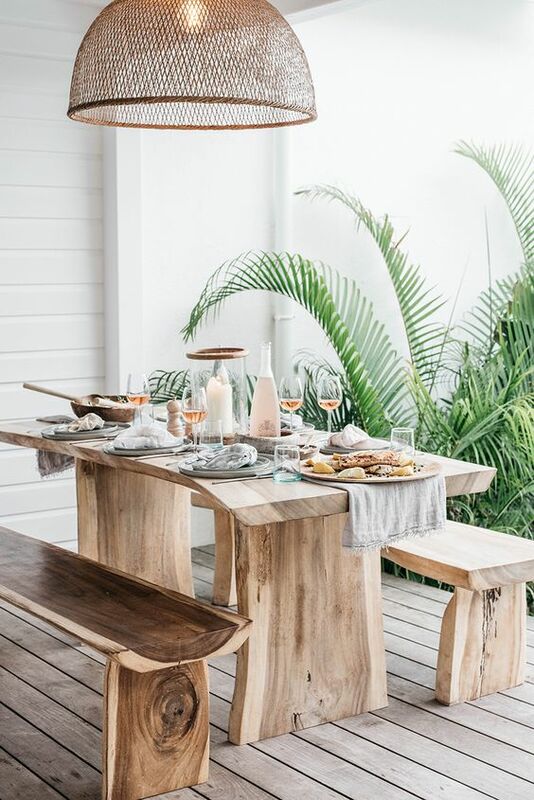 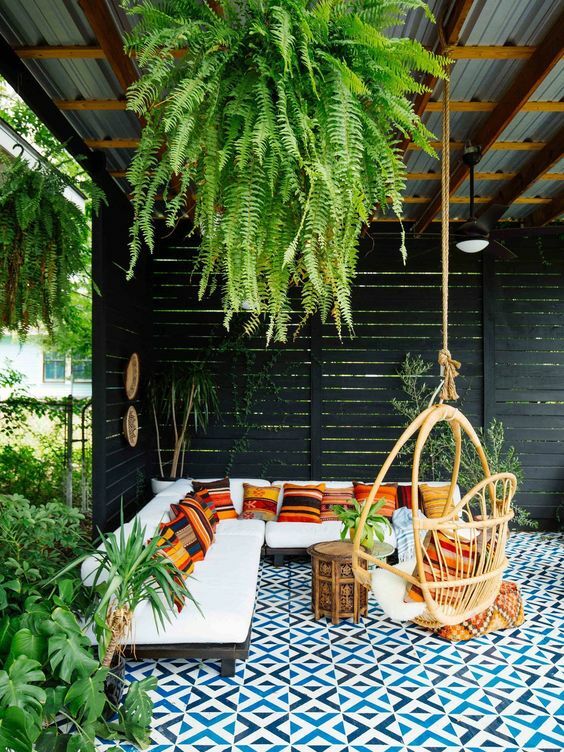 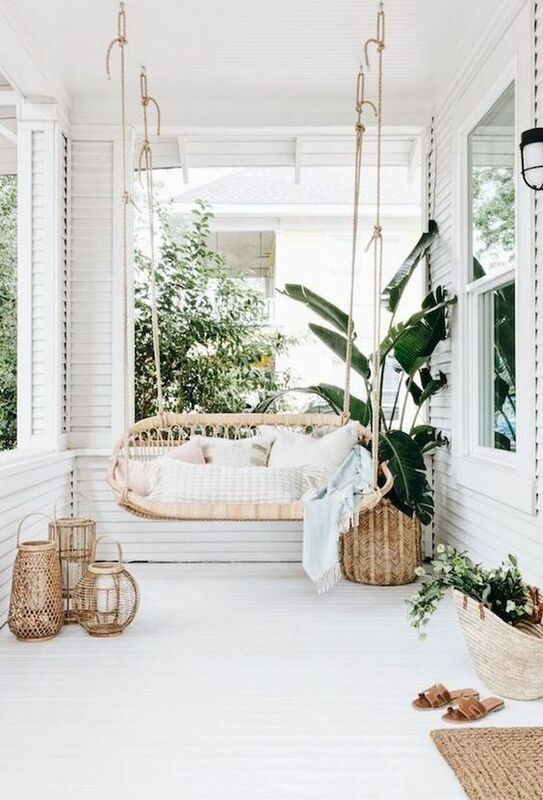 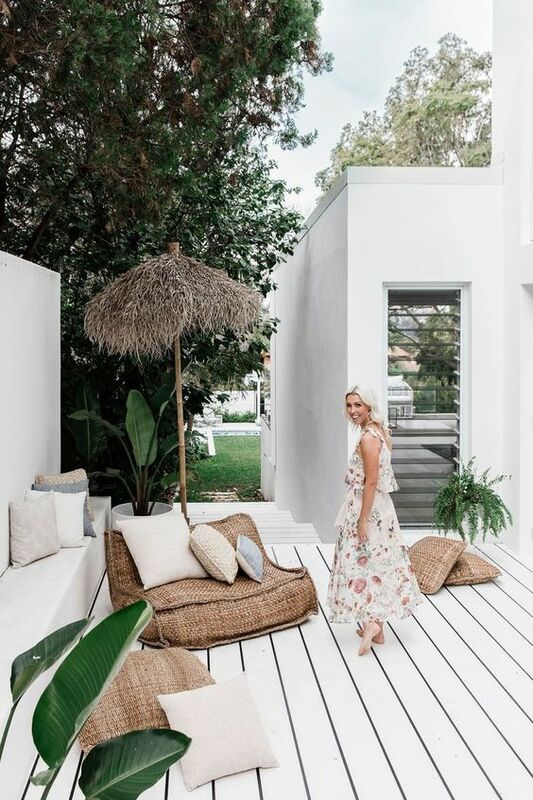 Even if you don’t leave in tropical areas, you may always give your outdoor space a hint of such decor, whether it’s a patio, a terrace, a balcony or a small deck. 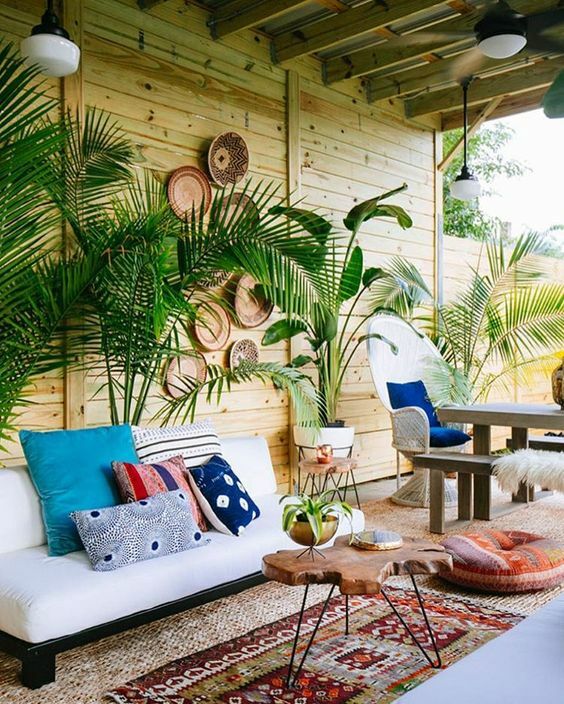 We’ve prepared some ideas to pull off such decor and style in your outdoor spaces, let’s get started! 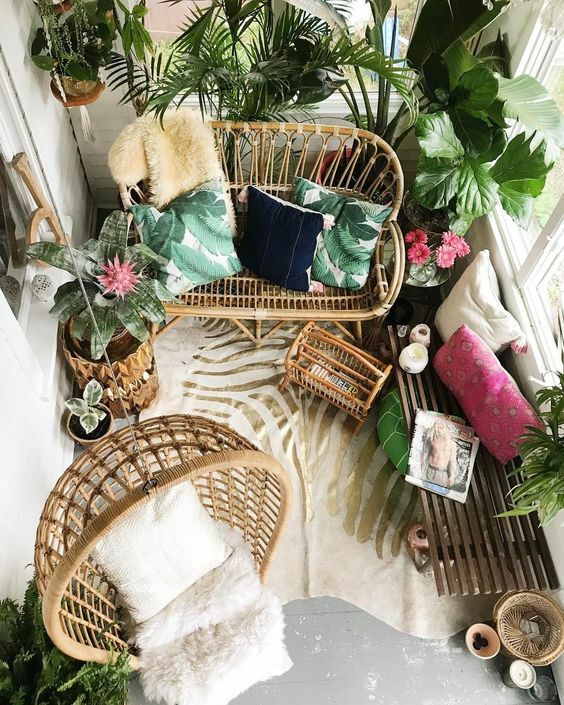 Neutrals are very popular for designing tropical spaces as lush tropical flora and fauna is bright and it creates a bold contrast with neutrals. 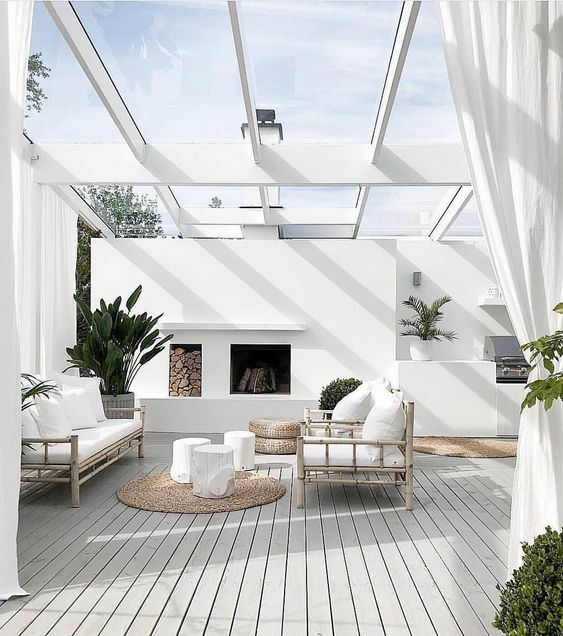 Besides, neutral shades don’t heat up too much reflecting the sunlight. 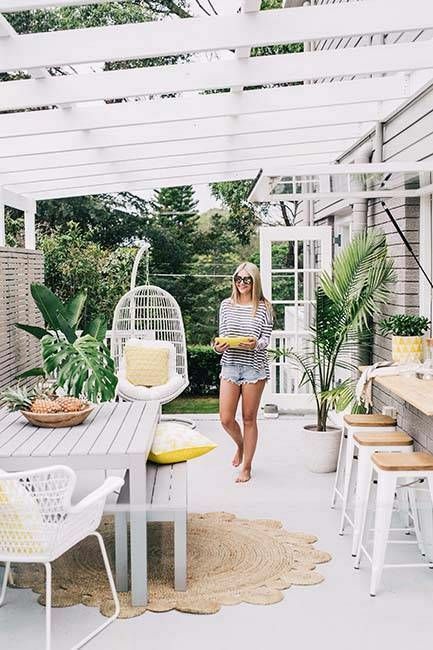 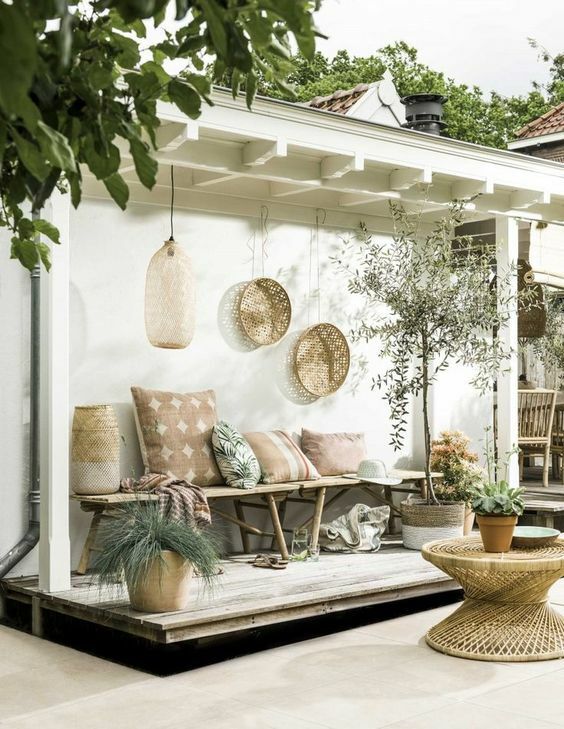 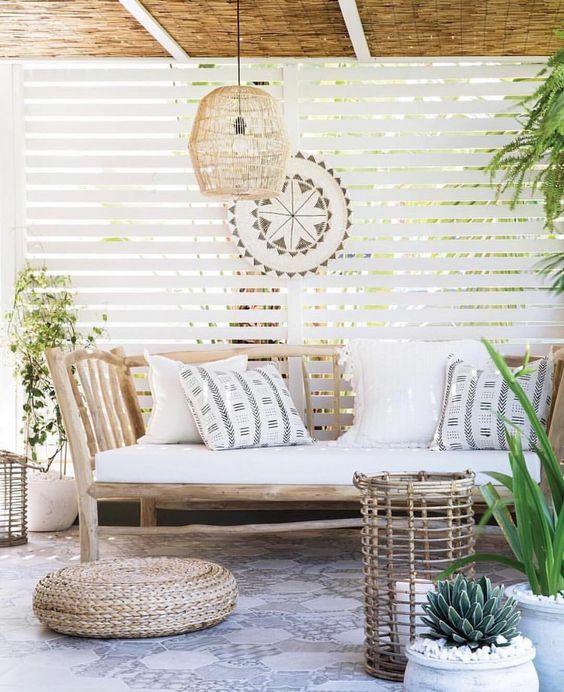 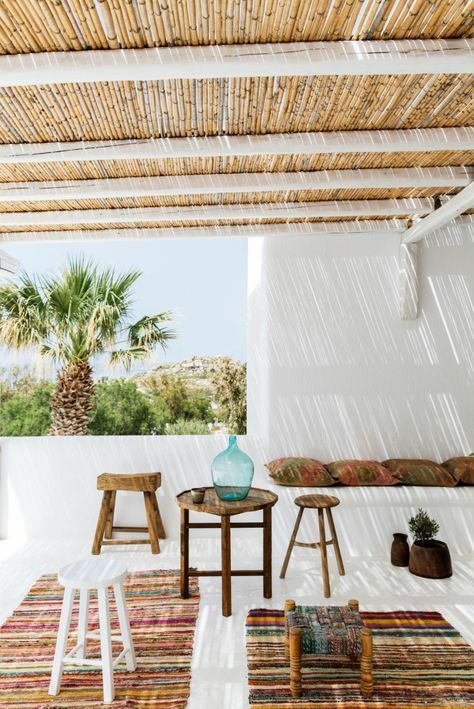 Rocking an all-white outdoor space is a great idea – just pair it with rattan furniture and wicker lampshades to create a relaxed feel. 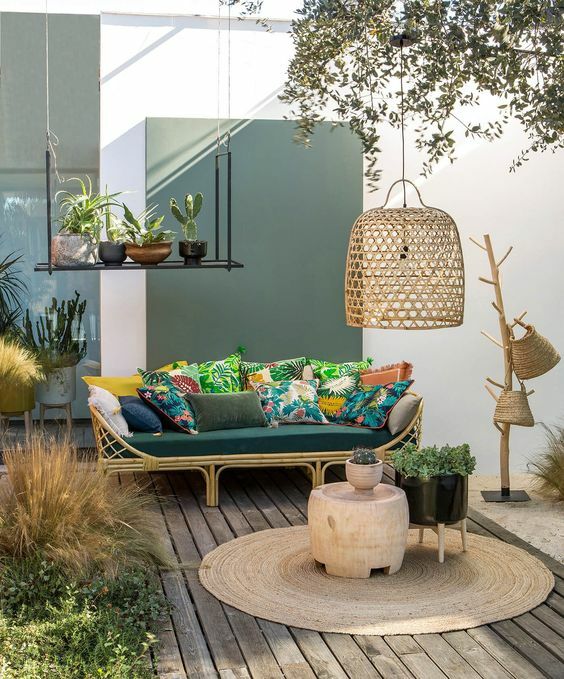 Add wicker planters and decorative baskets on the wall and refresh your outdoor space with much greenery and tropical plants. 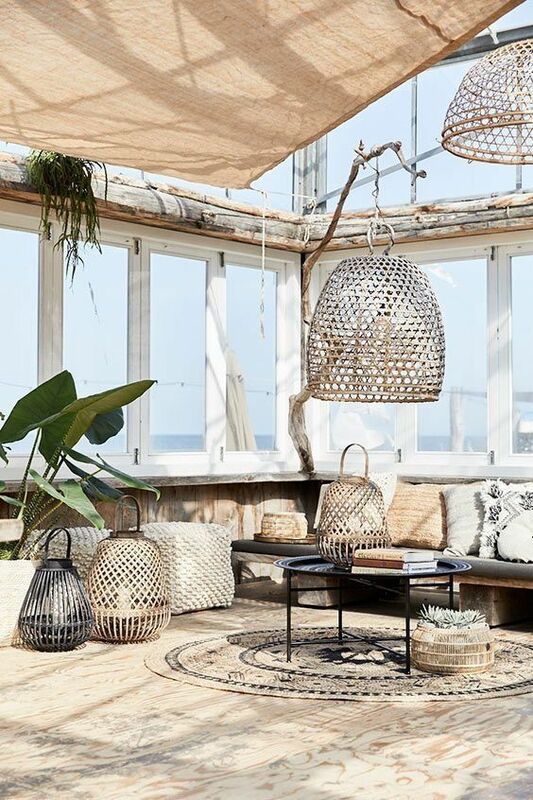 Hanging furniture will also add a relaxed feel to the space, and woven candle lanterns will fill it with soft glow at night. 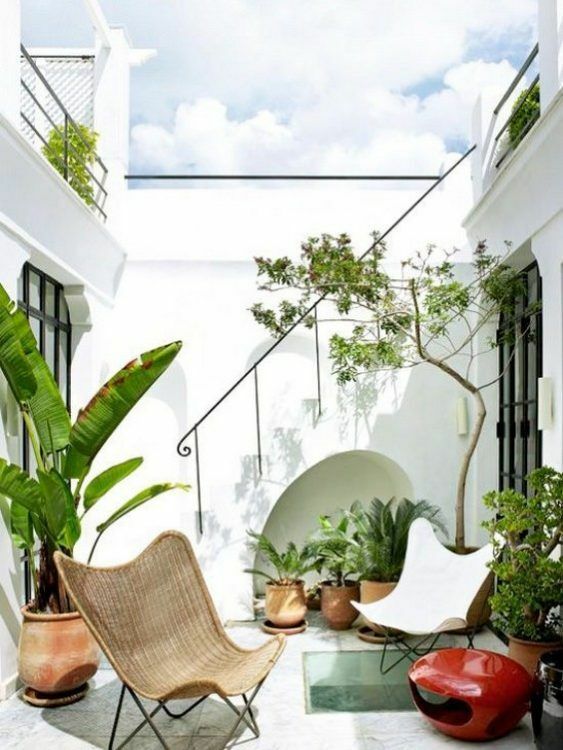 Try butterfly chairs, rough and living edge wooden furniture and hang some Moroccan lanterns to make your space very welcoming. 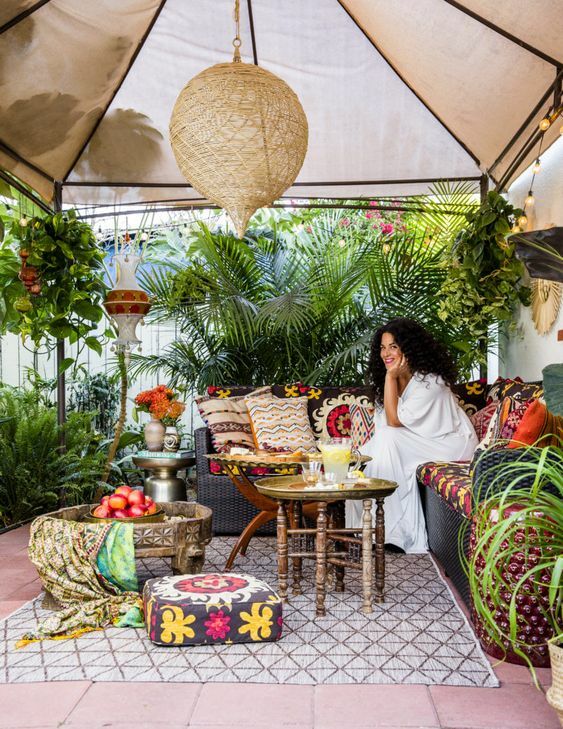 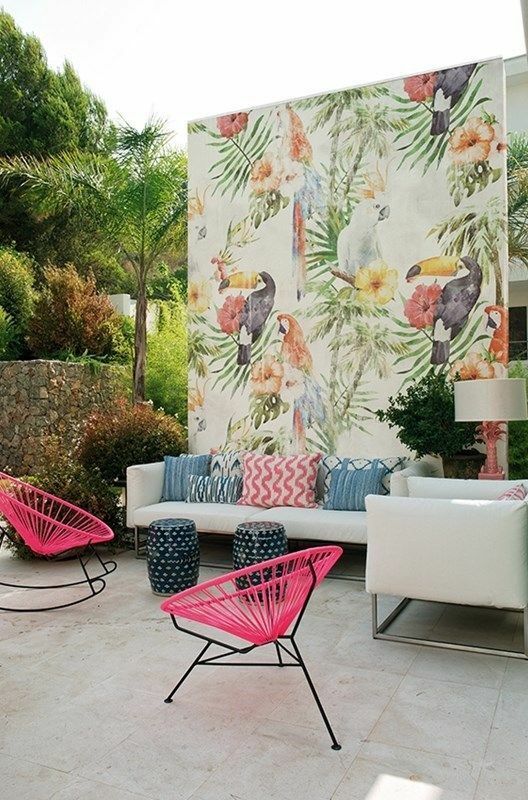 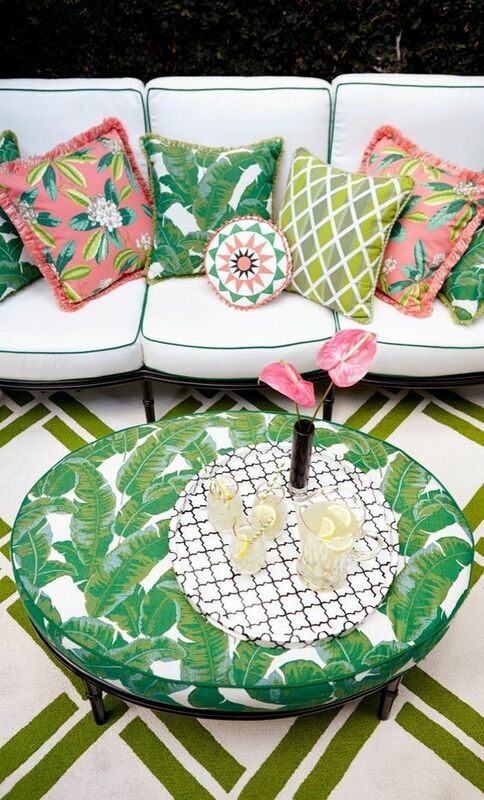 Bright colors and all things boho are also about tropical spaces, so if you love bright shades, feel free to rock them. 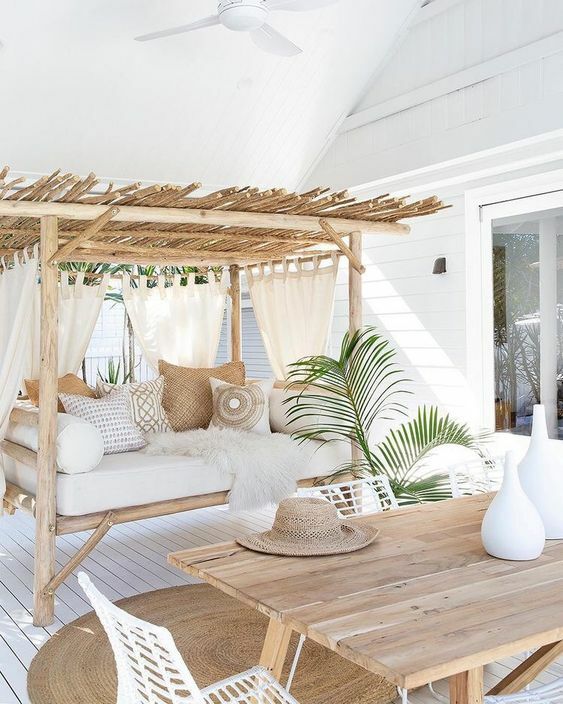 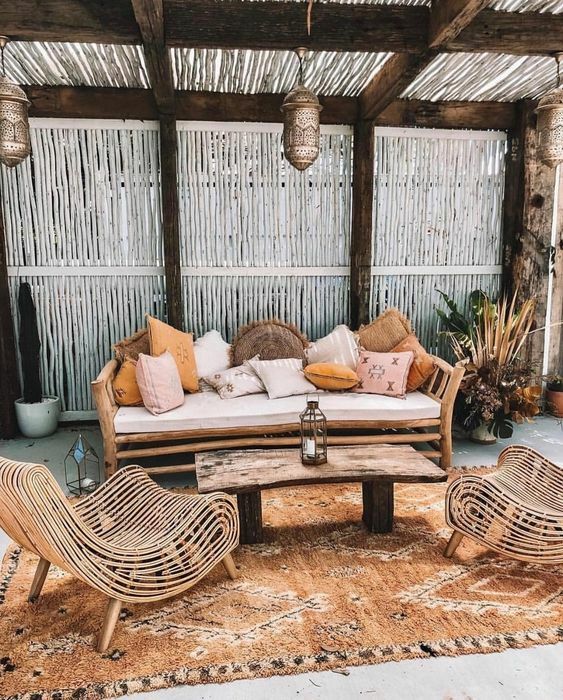 You may take neutral rattan furniture and accessorize it with colorful pillows and rugs around, add wicker and woven elements to give a relaxed tropical feel to the space. 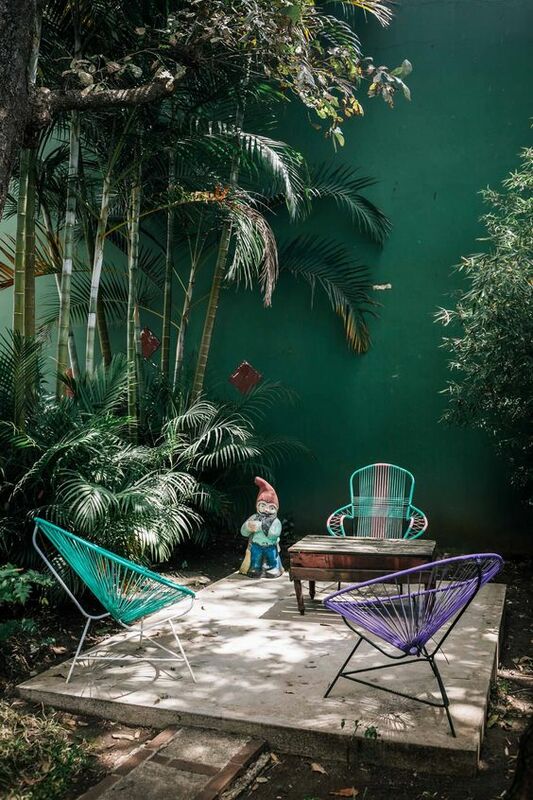 Rock as many tropical plants in pots as you can or even grow them around the space. 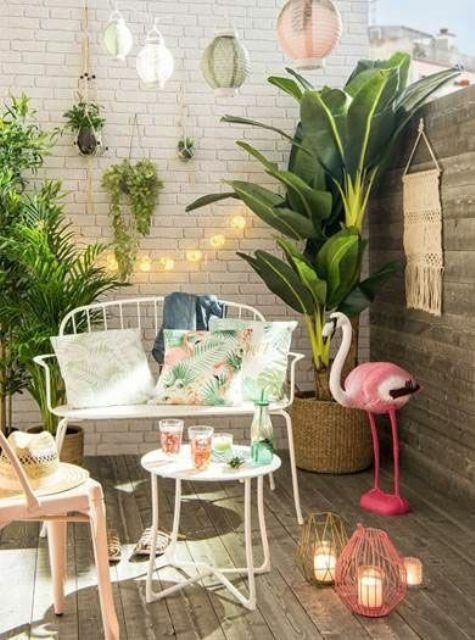 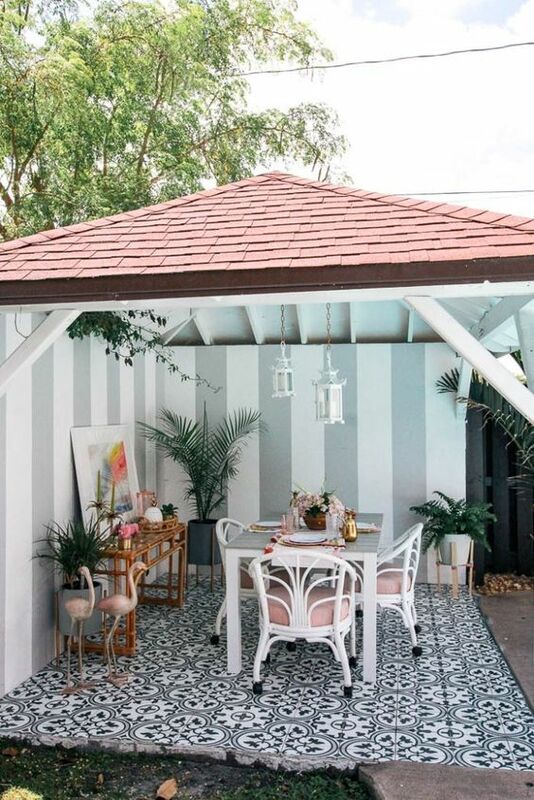 You may also add bright tropical chairs, colorful flamingos for a traditional tropical look and even make a mosaic tile floor for a bolder look.